This might be my favorite marriage proposal story yet. 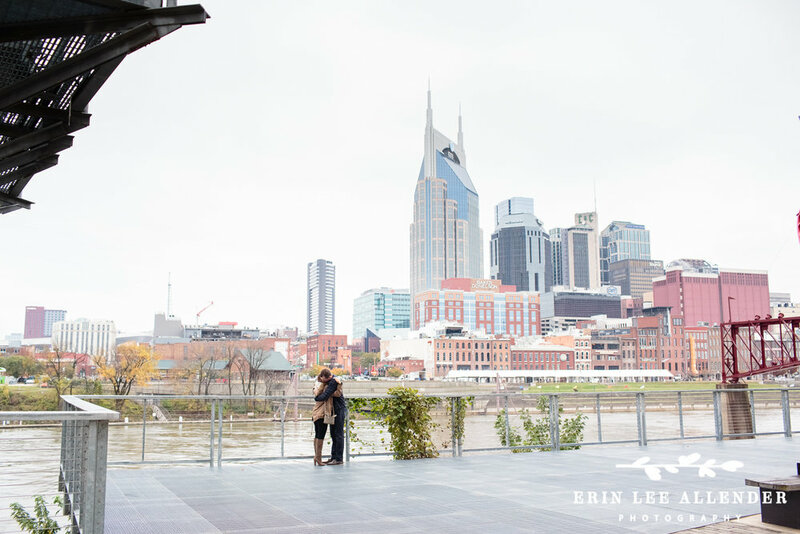 Scott and Jessica were flying into Nashville to attend the CMA Awards and unbeknownst to Jessica, Scott was going to propose while they were there. 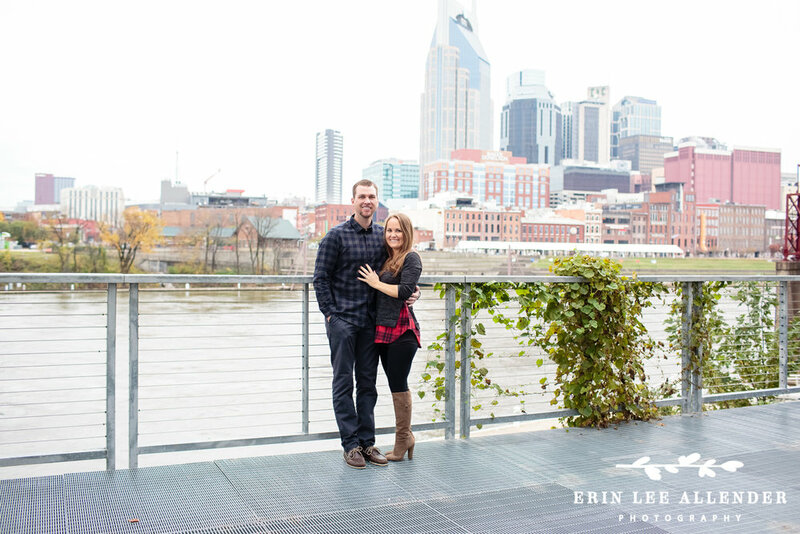 Scott and I set a location and a time and I waited for them to arrive at Cumberland Park. Scott told Jessica that they were going to meet a tour guide to take them on a tour of The Opry. So they grabbed an Uber and headed my direction. Jessica was confused as to why they are headed away from The Opry and on the whole ride their Uber driver is telling them all kinds of stories about crime and wanting to fight people. They showed up at Cumberland Park which other than me is deserted. I'm trying to hide my cameras and not look suspicious but also be seen by Scott so that he knows that everything is ready to go. So basically.... I looked sketchy and I hear Jessica say "This is weird. Why are we meeting a tour guide here." She was completely weirded out by this out of the way location and the strange women that keeps stealing glances at them. Next thing she knows Scott drops to one knee. I'm pretty sure her first words were "No. Stop. What are you doing?" And then "Yes. Of course yes." She was so shocked and still did not know what was going on (see the image directly below). 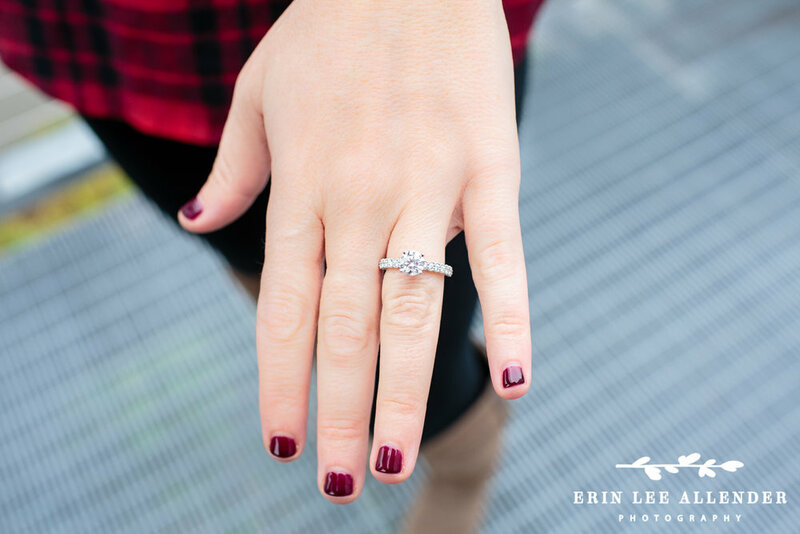 She gradually grasped that she was now engaged but Scott definitely surprised her. Congratulations, Jessica & Scott! I'm so glad I could provide a situation where Jessica questioned her safety, but ended up getting something really sparkly. I hope you enjoyed the CMA Awards. 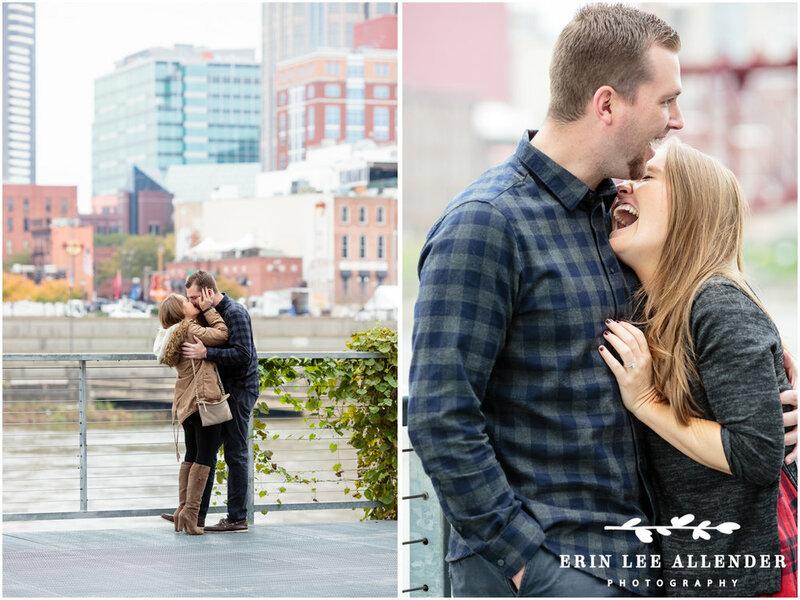 Please enjoy their chilly CMA Marriage Proposal!